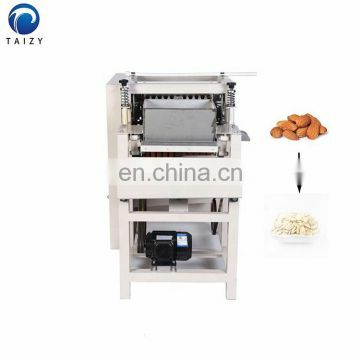 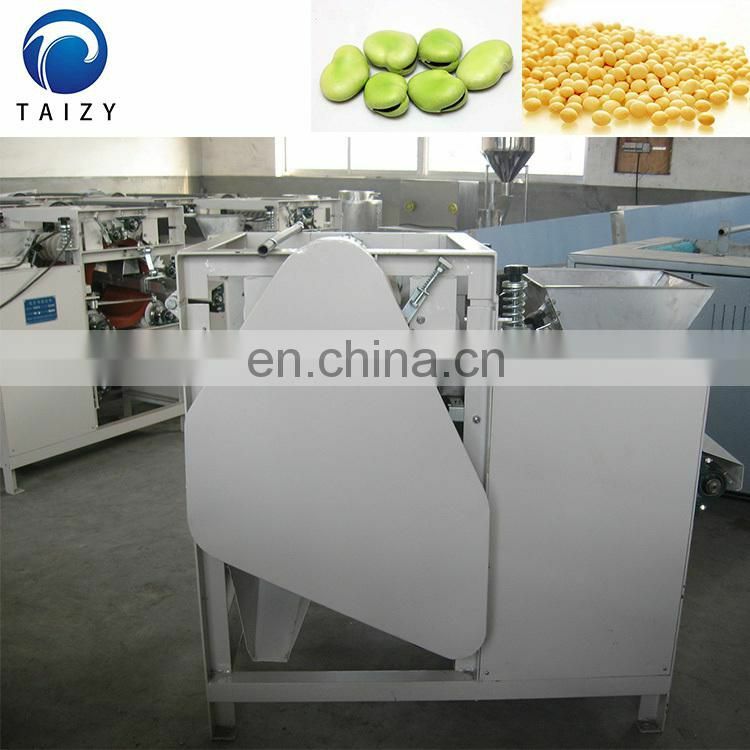 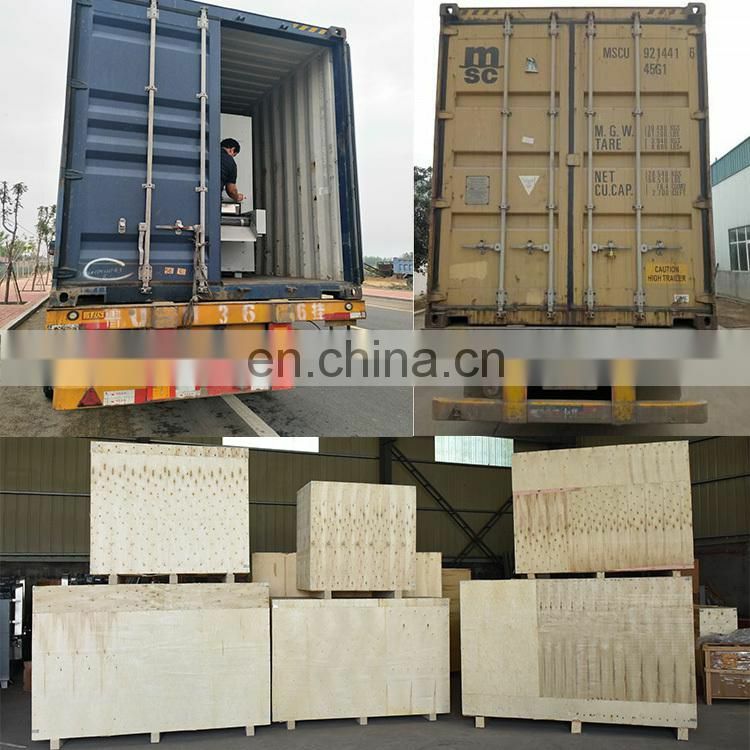 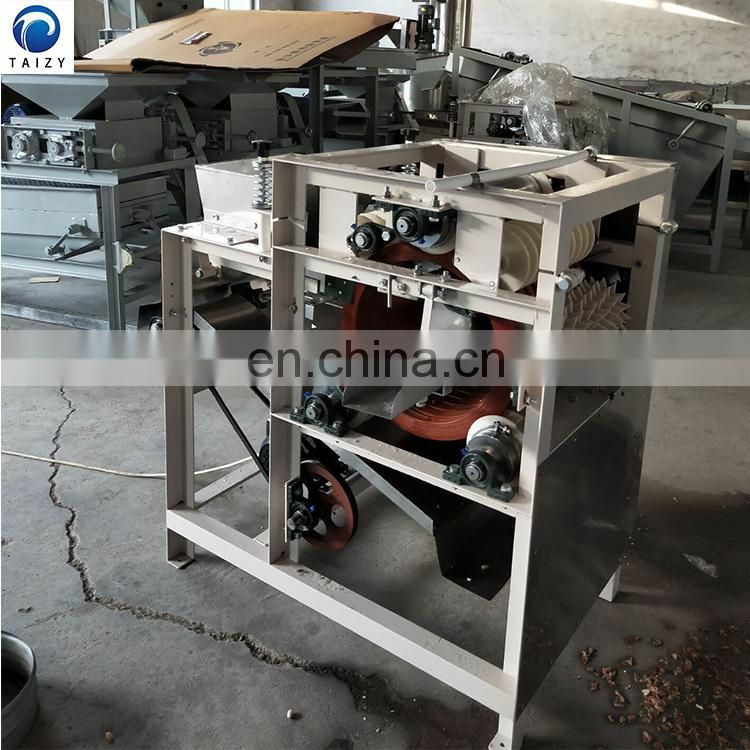 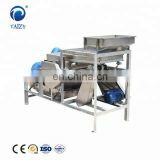 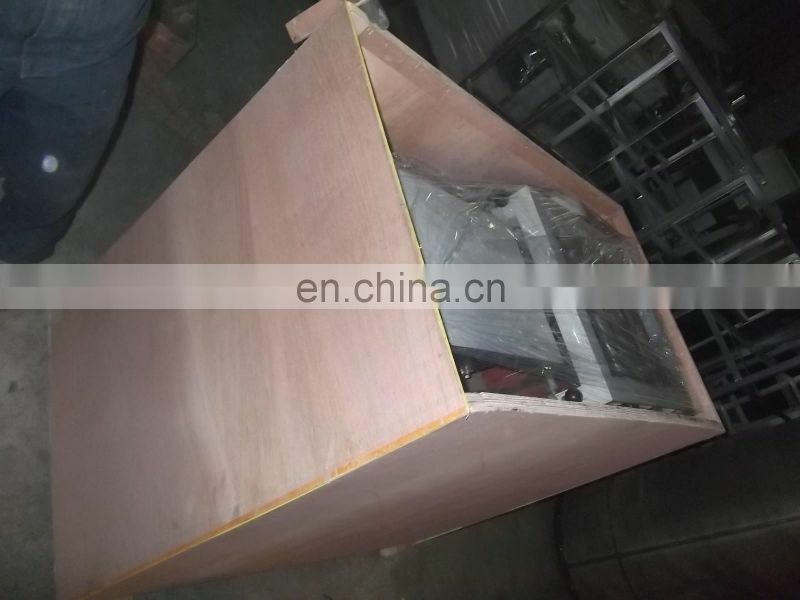 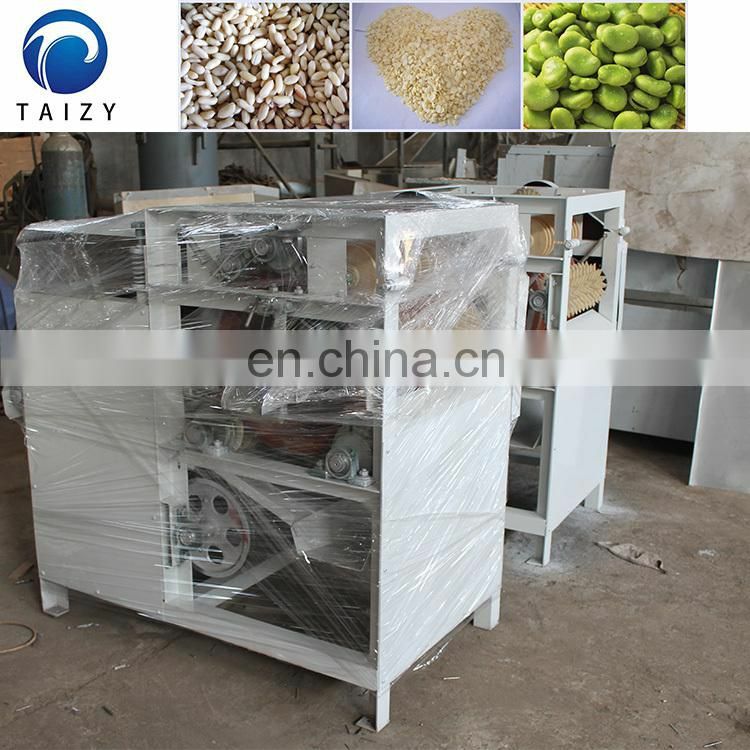 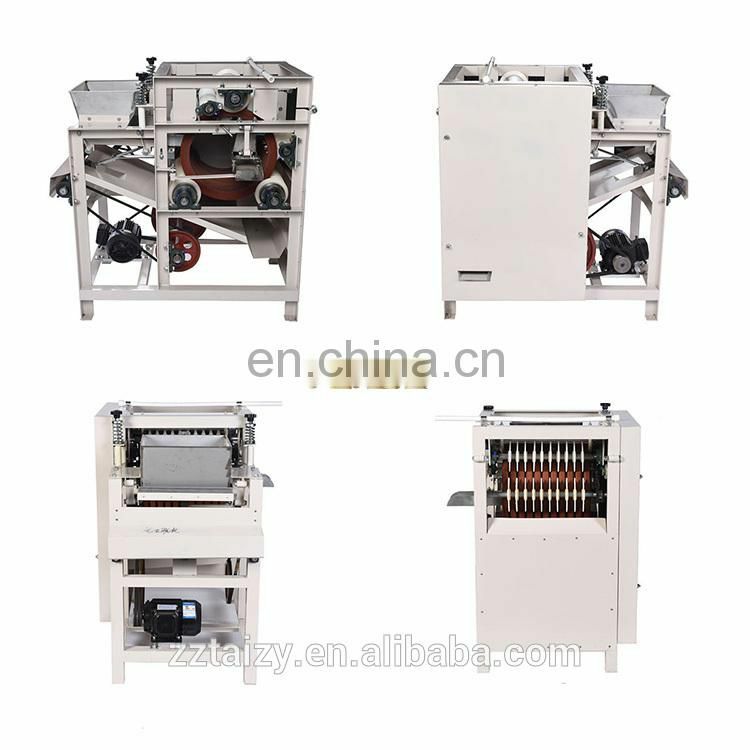 The wet almond peeling machine adopts the wet process and is specially used for removing peanuts, broad beans, soybeans and almonds (also called stripping) special equipment. 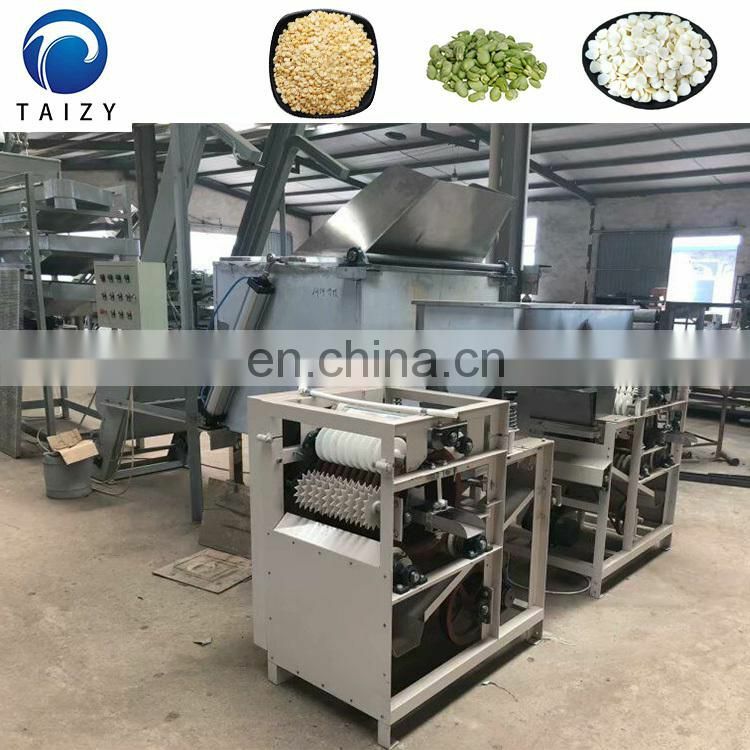 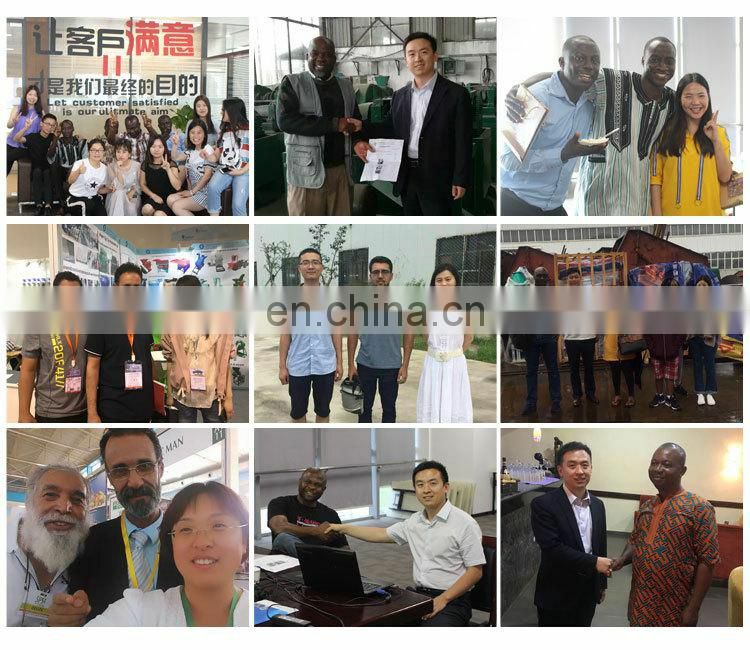 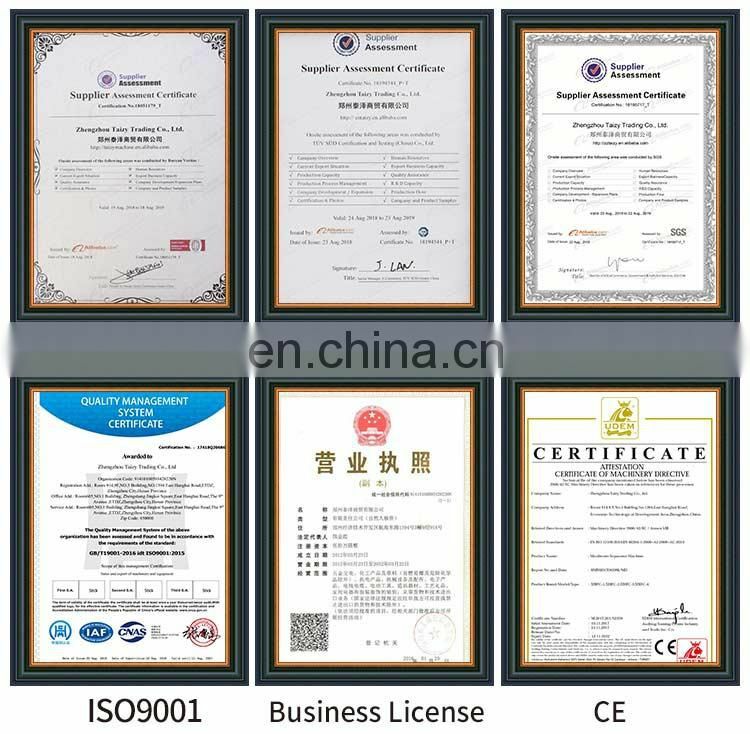 It is widely used in the early peeling treatment of fried peanuts, flavored peanuts, peanut soy protein milk powder, peanut soy almond paste, eight-treasure porridge, almond dew, canned almonds, fried broad beans and other products. 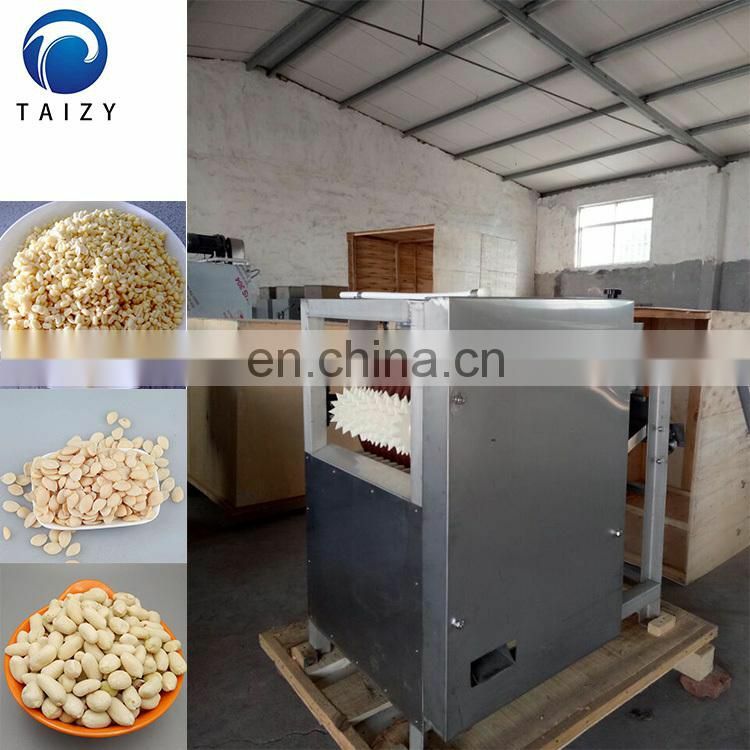 Stable performance, good peeling effect, low half-grain rate. 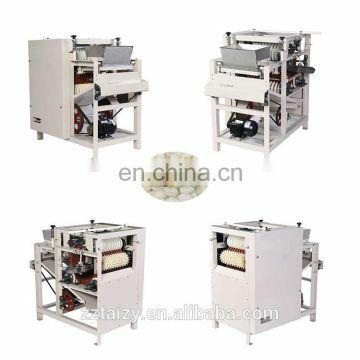 The peeling rate is high, and the finished product after peeling is not broken. 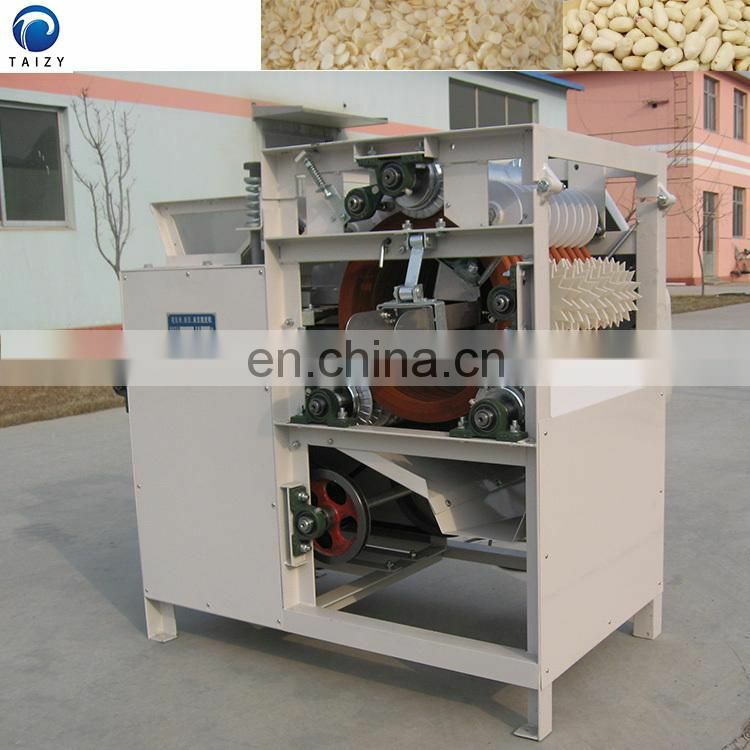 When peeling, the skin and kernel are automatically separated and easy to handle. 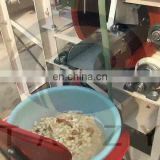 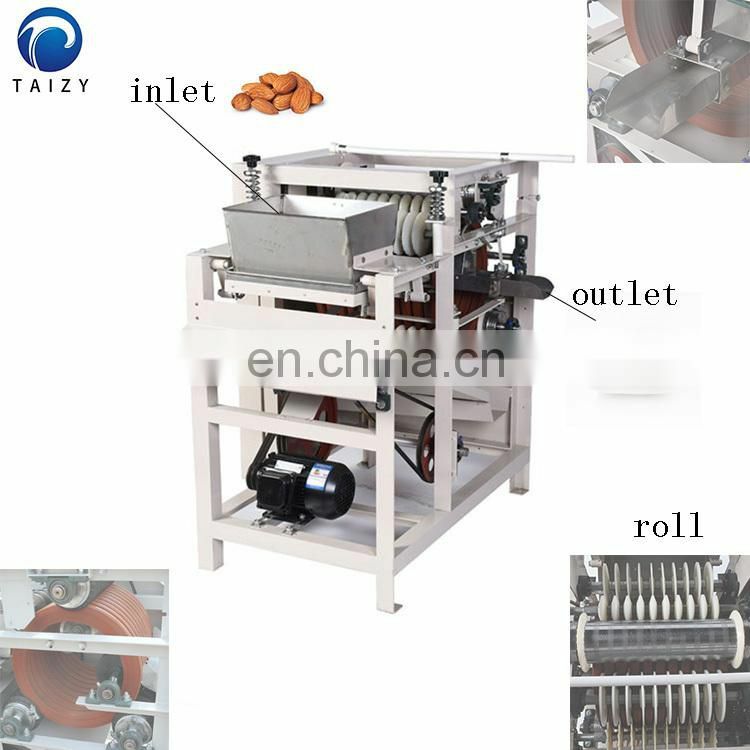 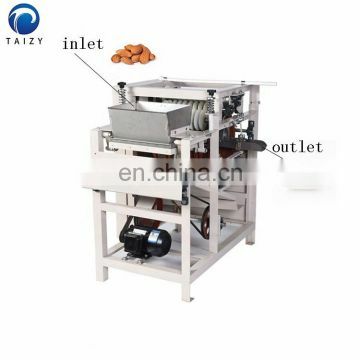 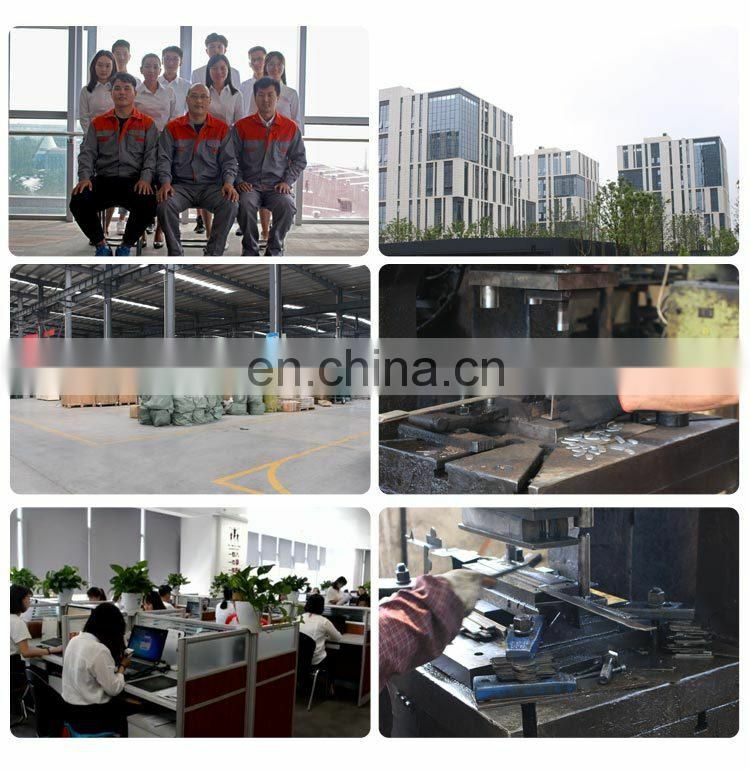 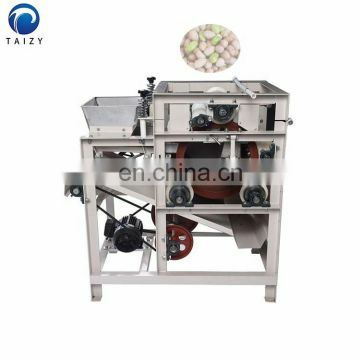 The wet peanut peeling peeling machine adopts the working principle of differential rolling friction transmission. 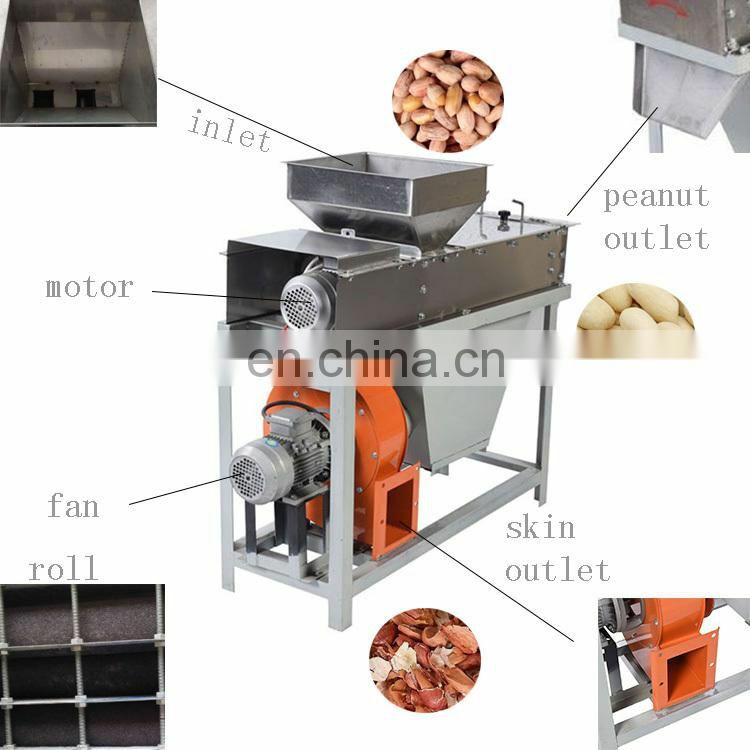 After the peanut is soaked, the peeling is carried out, and the blowing system blows away the leather, so that the whole peanut kernel and the skin are separated, and the peeling rate is above 98% without damage. 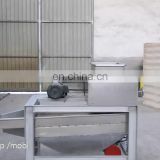 The flap rate is less than 5%.